Livall has added to its range of connected cycling wearables, now allowing urban cyclists to listen to audio and take calls while on the bike. The new BH51M is equipped with Bluetooth functionality to bring users sound when cycling, with the Chinese company indicating the speaker's placement above the ears will keep them in touch with the outside world and ensure safety. It also comes with an SOS function that alerts an emergency contact when the rider falls off their bike and doesn't respond within 90 seconds. And naturally, it's still aiming to keep riders safe in the saddle through its lighting system, which can be used to indicate direction (through a remote control on the handlebars) and stay visible to vehicles and other cyclists on the road. 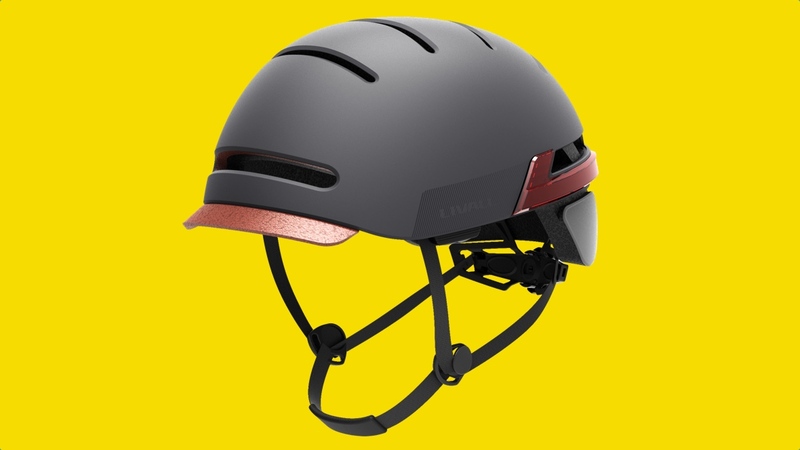 Like with other Livall smart helmets we've seen, the BH51M allows groups to stay connected through the radio walkie-talkie function, too, as well as offering a built-in 'Push to Talk' button, which enables hands-free calls when a user's iOS or Android smartphone is nearby. Aside from design, though, this isn't really a leap forward from Livall. Other models have offered the same smart lighting and Bluetooth audio capabilities, including the RS1, the company's first design for winter sports unveiled at IFA last year. However, for cyclists who weren't necessarily a fan of the more sporty look of the BH60 or MT1 helmets, this does represent another option to pick from in the Livall collection. The company itself indicates the helmet will be available from the end of February, but hasn't yet released details on pricing. We'll be testing the helmet out over the coming few weeks, though, so stay tuned for our full look at its smart capabilities.